Germany has a strong manufacturing base and an export-oriented economy which makes it the powerhouse of Europe. It is the fourth largest economy in the world by the nominal GDP and Europe's largest economy. The country is also considered as the world's third largest exporter after China and the United States, with 1.06 trillion euros in goods exported in 2011. Since the middle of 20th century its economic policy has been based on the concept of the social market economy. The main purpose of this social market economy is to protect the freedom of all market participants, while simultaneously ensuring social equity. 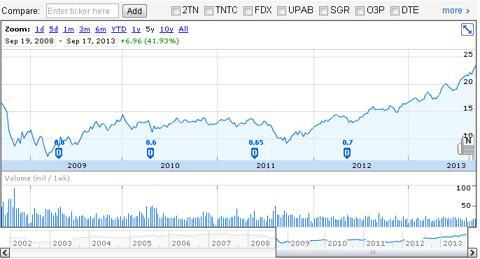 Here are some beste dividendenzahlende Aktie in Deutschland with their five years performance chart. These stocks are paying consistent dividend. Siemens AG is a German multinational engineering and electronics conglomerate company which has currently a market cap of 74.15 Billion and a dividend yield of 3.41%. It is the largest Europe-based electronic and electrical engineering company. 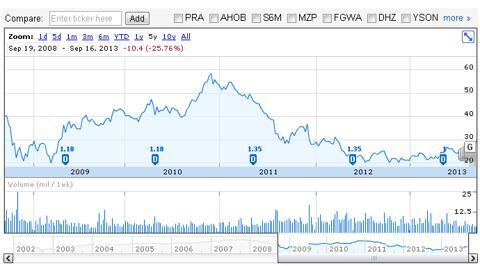 In August 2013, it divested its stake in Nokia Siemens Networks. 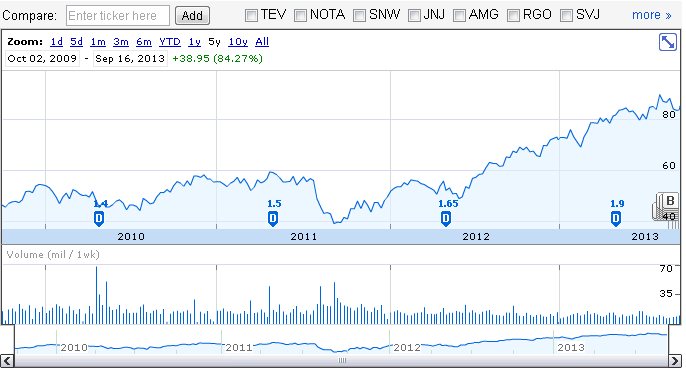 See the chart of its five years performance. 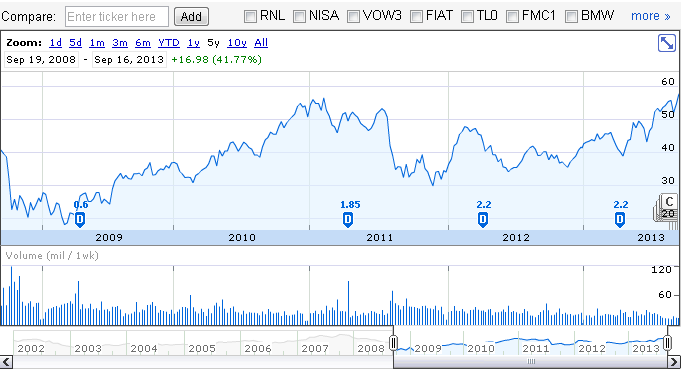 Bayerische Motoren Werke AG has a market cap of 52.86 Billion and a forward dividend yield of 3.10%. It is holding company and manufacturer of automobiles which focuses on the automobile and motorcycle markets. 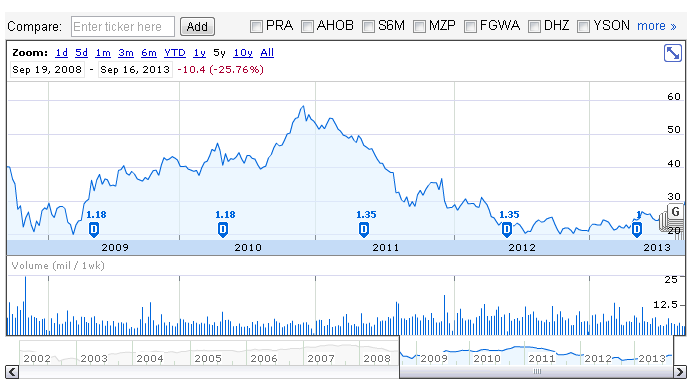 In the month of January 2013 the company sold its Husqvarna brand. 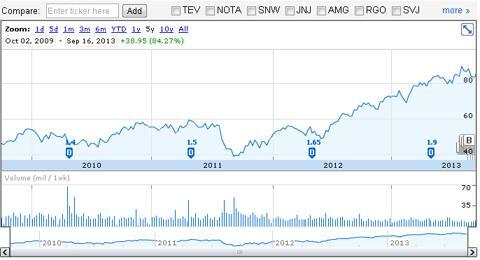 Daimler AG stock has a dividend yield of 3.82% and headquartered in Stuttgart, Baden-Wurttemberg, Germany. It develops, manufactures and distributes a range of automotive products including cars, trucks, vans and buses as well as manages the Daimler group. 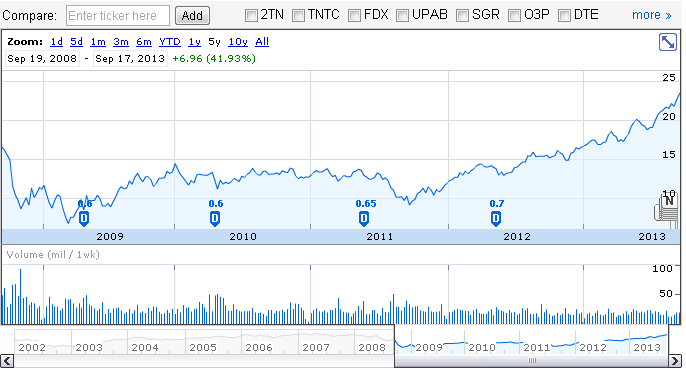 It has currently a market cap of 61.63 Billion and P/E ratio of 9.18. 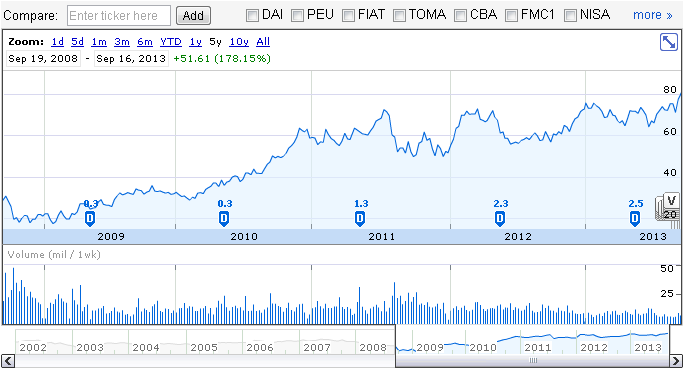 METRO AG is also known as Metro Group that has a market cap of 9.80 Billion and a high dividend yield of 3.34%. It is the largest market share in its home and also one of the most globalized retail and wholesale corporations which operates 2,100 outlets in 33 countries in Europe, Africa and Asia. 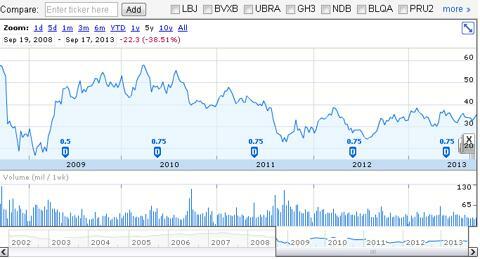 Bayer AG is headquartered in Leverkusen, North Rhine-Westphalia, (Germany) with a dividend yield of 2.23%. It is well known for its original brand of aspirin. This German company is operating in the field of health care, nutrition and high-tech materials. In July 2013, Bayer AG acquired Steigerwald Arzneimittelwerk GmbH. It has completed its 150 years on 1 August 2013. Deutsche Post AG is operating under the trade name Deutsche Post DHL which is the world's largest courier company. 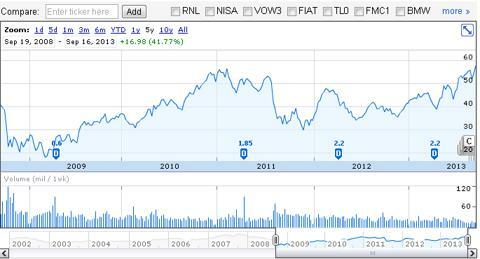 With a dividend yield of 2.97% and a market cap of 28.46 Billion the company is headquartered in Bonn. It has approximately 467,088 employees in more than 220 countries. 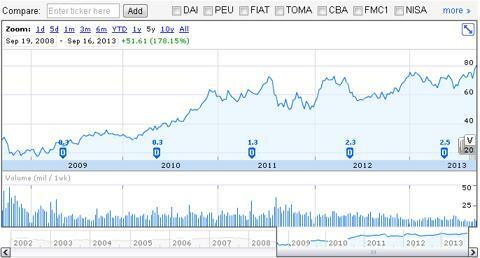 It is listed on the DAX stock market index. 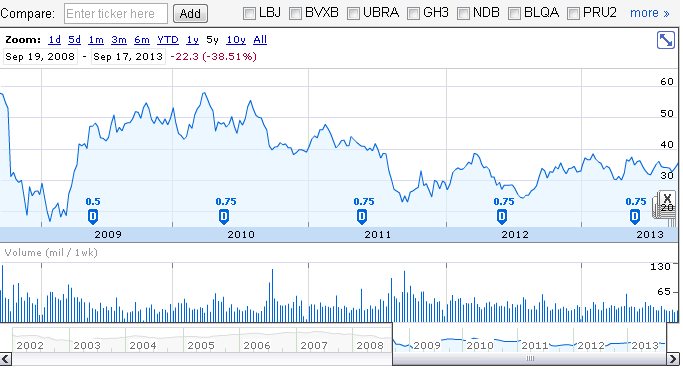 Deutsche Bank AG is currently paying a dividend yield of 2.13% and has a market cap of 35.80 Billion. With more than 100,000 employees it is operating in over 70 countries and has a bug presence in Europe, the Americas, Asia-Pacific and the emerging markets. 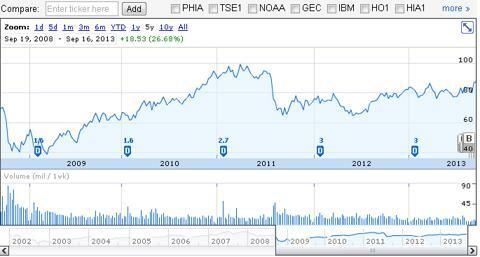 In March 2013 the company acquired a 4.561% interest in JC Penney Co Inc.